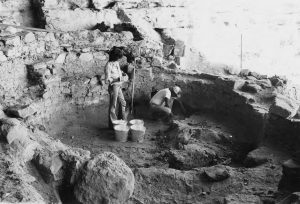 The PLPCO Archaeologist, Kris Carambelas, works with state and federal agencies to promote the responsible use and preservation of archaeological resources and oversees permitting of archaeological work on state lands. Issued to qualified individuals to conduct surveys on state land and is required by the Antiquities Section of the Utah Division of State History to access archaeology site files and receive site and project numbers. Issued to permitted principal investigators who need to perform testing or excavation of archaeological resources on state lands. Please allow for a 30-day review period for both types of permits.